Born and raised in Mississauga, Ontario, Michael Zoffranieri’s foray into fashion began with a hand sewn owl pin cushion. Soon after, he had the opportunity to apprentice at David Dixon. After graduating from Ryerson university’s renowned School of Fashion in 2016, ZOFF began it’s journey. Shortly after, ZOFF received the Suzanne Rogers Award for Most Promising New Label of 2017 during Toronto Fashion Incubator’s New Labels competition. ZOFF is nominated for the Swarovski Emerging Talent Award (Fashion Design), at the 2018 Canadian Arts and Fashion Awards (CAFAs). 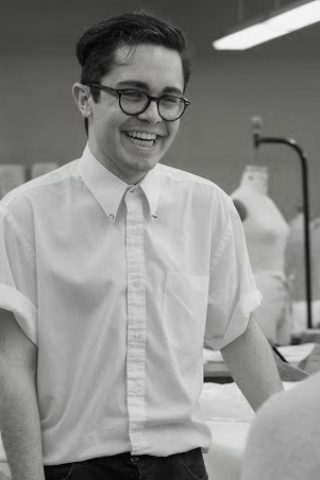 Participant in an episode on the STITCHED fashion design challenge program (originally aired on October 28th, 2018), Michael takes fashion risks and has fun doing it!